Within the MulteFire Alliance, we are defining an end-to-end architecture in order to ensure that there are no restrictions in the implementation of a MulteFire network and to ensure that multi-vendor deployments are supported. A MulteFire small cell may support both access modes simultaneously. One of the most important starting points in our work was the interworking of MulteFire with 3GPP networks and 3GPP network elements. With 3GPP Release 13 as the base specification for our work, we can provide interworking via 3GPP interfaces, enabling operators to easily add MulteFire to their existing networks without needing a major upgrade. Also, by standardizing the interfaces between the MulteFire RAN and core network, we can support a multi-vendor ecosystem. During the webinar, I dived into the details behind each access mode and had a chance to answer attendee questions about deployment scenarios. As you can see, the results were fairly evenly split, and is useful feedback for our work. I encourage you to listen to the archived webinar and let us know if you have any questions about MulteFire’s end-to-end architecture work. György Wolfner has been actively participated in MulteFire Alliance meetings since the establishment of MFA. 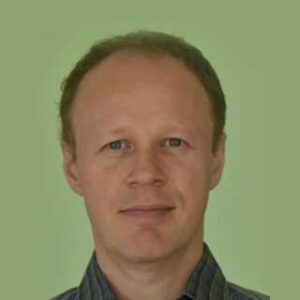 He chairs that the E2E Architecture Working Group, which is responsible for creating the general architecture for MulteFire and protocol specifications of the core network. György started his professional career at the research institute of the Hungarian Telecom in 1998. He joined Nokia in 1999. He worked as system specification engineer and later as a product architect for different products of Nokia. He started supporting standardization work when 3GPP Rel-5 specifications were created and has been a regular 3GPP SA2 delegate of Nokia since 2003. His main expert area is the interworking of 3GPP and non-3GPP systems. He participated in the creation of the 3GPP WLAN interworking solution in 3GPP Rel-6 and in the specification of the non-3GPP interworking architecture of LTE in 3GPP Rel-8. He has also contributed in various other IMS and packet core related areas. György received his Master’s degree in Informatics from Budapest University of Technology and Economics (BUTE), Budapest Hungary in 1994. He carried out research and PhD studies in the field of traffic and congestion management of ATM networks, and telecommunication network planning. He received his PhD in Telecommunication from BUTE in 1999. It goes everywhere we go – whether we’re heading to the gym, in the waiting room at the doctor’s office, or grabbing a latte at the local café. Our phone is always within reach and ready when we need it, that is, unless we enter an unmarked network “black-hole.” These unpredictable dead zones can drop calls and time out connections without warning. While elevators and basements are notorious dead spots, others can materialize when too many devices are trying to battle for bandwidth. Unfortunately, our mobile device dependency has made business owners’ jobs even more difficult now that they need to ensure customers can still catch the latest score or update their Facebook feeds once they walk into their store. Failure to do so could result in customer frustration, sub-par Yelp reviews and even public shaming. Okay, the last one may be a bit extreme and we don’t expect business owners to perform a Game of Thrones’ style walk of atonement for having a dicey Wi-Fi network or spotty network coverage. But what if there was an easy way for business owners to avoid the potential of any public shaming and provide a seamless network connection for little-to-no cost? With MulteFire technology there can be. MulteFire opens the doors for small and medium-sized businesses to establish themselves as a neutral host hotspot, offering LTE-like network performance for any device. By enabling neutral host solutions with MulteFire, private business owners can offer better connections and speeds that otherwise may have been strained by high user traffic in a restrictive environment. So how does a small business enable itself a neutral host? It’s actually quite simple and it all falls within the unlicensed spectrum bands and where an LTE anchor is not required. MulteFire’s neutral host environment offers flexible business models such as, a standalone solution. In this scenario, no carrier subscription or SIM card has to be installed on a device in order for it to connect to the network, thereby offering seamless mobility within the network. It can also be configured to communicate with existing network carriers using tight integration where a SIM card is already enabled on a device. In the latter situation, someone who is connected to the carrier LTE network will continue to enjoy the LTE-like performance, as well as the network security, upon entering a store with MulteFire technology installed in a neutral host setting. When simultaneous access is available, the transition from the mobile operator network in the licensed spectrum to the private, neutral host environment in the unlicensed spectrum is seamless and without connectivity hiccups. Furthermore, standardized interfaces for multi-vendor deployments are also possible. This arrangement can also benefit mobile operators or service providers if they choose to collaborate with business owners to include their network in the neutral host environment. For instance, mobile operators can charge the business owners a small fee for including their network, reaping the benefit of authentication and seamless connectivity with their network. On the flip side, in larger environments such as stadiums, the network operator may need to pay the venue owner if they want patrons to still use their network within the venue. Any given arrangement between the private business owner and the mobile operator comes down to the negotiations at hand. While this idea of a neutral host solution may seem forward-thinking, it’s already being tested by a few of the MulteFire Alliance’s member companies. For instance, Nokia showed off a neutral host demo at Mobile World Congress Barcelona. MulteFire’s neutral host solution opens the doors to many possibilities for enterprises, mobile operators, cable operators, ISPs, building owners, venue owners and stadium owners. Each of these stakeholders can benefit from MulteFire’s customizable, end-to-end network architecture by expanding LTE-like performance within the confines of their business. Ashish Dayama is the Vice chair for MulteFire Alliance Marketing Working Group and Head of MulteFire and TD-LTE marketing for Nokia Network’s mobile broadband portfolio. Mr. Dayama is responsible for global MulteFire and TD-LTE product marketing, strategy, and content development. Mr. Dayama is Nokia Marketing point of contact for CBRS Alliance and The Wireless Innovation Forum’s Spectrum Sharing Committee. Mr. Dayama has been a solution architect, system integrator and business developer for various mobile networks. 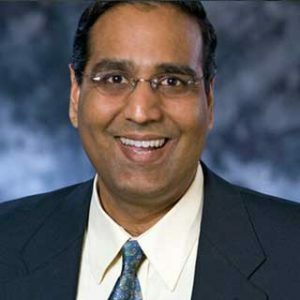 He has filed patents, published papers, and is a speaker on various forums such as IEEE, BBWF, GTI. Prior to joining Nokia, Mr. Dayama held several management positions at Motorola, and Alcatel-Lucent. He holds an MBA from University of Chicago, MS in Computer Science from Western Illinois University and a Bachelor’s in Electrical from Karnataka University.